You probably think it's all them being control freaks, right? Nope. I used to belong to eHarmony a few years ago and just instantly hated the site after the first few days because they don't let you do your own search. Instead they send matches to you based on some highly touted "scientific" matching methods. 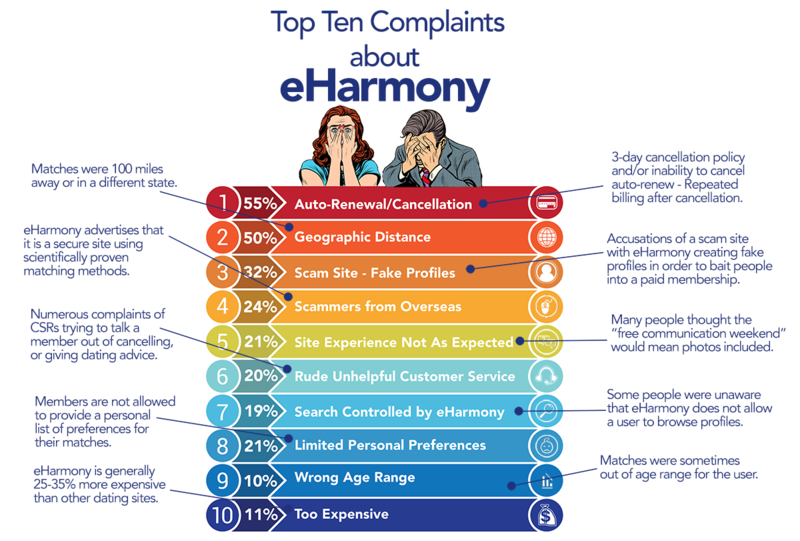 So when I came across this fantastic survey on Consumer Affairs, with the latest entry dated October 2017, I couldn't resist analyzing the data to see just what is going on inside eHarmony these days. I cataloged the 1,826 entries into the top 10 categories. The results really surprised me! I thought the major complaint would be their opaque and nonsensical matching methods, and geographic location does have a whopping 50% of the complaints lodged. But the number one complaint occurring in 55% of the entries is the even MORE opaque and mystifying membership rules for joining, canceling and avoiding auto-renewal. Apparently the 3-day cancellation clause is not in bold print on the sign up page but instead buried deep into the Terms and Conditions, along with the opt-out for auto-renewal clause. 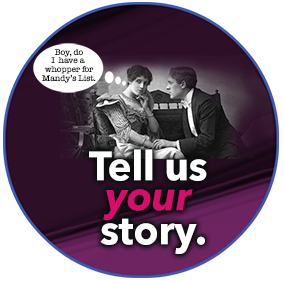 The survey is rampant with very long stories of a stonewalling customer service department that dispenses advice instead of a refund. The eHarmony member support also sticks heavily to the 3-day cancellation policy even though they didn't provide matches for these people by Day 4! The most galling of all rip-offs by eHarmony is not in the top 10 I listed, but nonetheless hugely frustrating: Many complaints were about eHarmony assimilating all the profile information from the new member, charging for the new membership and then informing the new member a few days later that, “Sorry, we could not find any matches for you at this time.” Fine, no harm no foul as long as you can get your money back. But…whoops! Your 3-day cancellation period has passed! I'm sort of amazed eHarmony is still online much less not being sued in some massive class-action suit.